Of all the prejudices being thrown around this season, I’ve never been able to understand why many have rendered Kabaneri of the Iron Fortress as ‘dumb’. An easy criticism keeps coming up, that when we’ve got zombies and characters acting irrationally, we’re got a poorly-written show. Not only does this miss the point of how irrationality is used in fiction; it ignores the context of every ‘irrational’ event that happens. Foolishness is in fact a massive part of what makes Kabaneri such a potentially engaging show. Mayoiga is easily the most-discussed show of the season. Yet, some people want to close down those discussions, arguing that no show that’s ‘badly written’ can be anything but bad, and nothing further than that. But is this right? On the front page of r/anime today, filling the slot of the subreddit’s Daily Salt Thread, is a discussion titled ‘What scores on your MAL would make /r/anime question your taste the most?‘. I could stop here and let that post speak for itself, for why I think MAL and the community it facilitates is what drags down the potential for good, interesting discussions about anime online. But I might as well blog about it too. 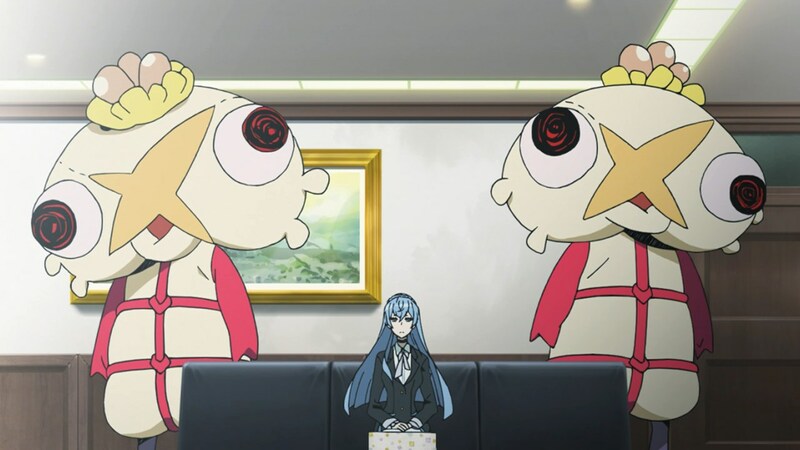 So I sat down recently to watch Glass Reflection’s ‘Should You Watch’ for Kiznaiver, one of the more bizarre and experimental shows we have this season, which I’ve had a lot of fun writing my weekly seasonal Impressions for. It’s a show all about characters connecting to each other, which is what stories are all about in the first place, and so every beat of its disarray of character developments reeks of a kind of meta commentary too. And I think it’s fundamental to notice that, or at least that it’s doing something that’s conscious of itself. Which is why I found GR’s approach to it extremely underwhelming. GR deserves a lot of praise for how polished and well-paced his videos are. He hooks viewers into his opinion better than 80% of shows airing in any given season. But once we get onto the views themselves, things start to get hairy. You may agree or disagree with his opinion of the show, but the first issue is: what is there to do beyond that? He calls certain characters bland and the plot aimless without any unpacking of his viewpoint, without any traceable reading of the show that could persuade you that his view is correct. Of course, he’s trying to be ‘spoiler-free’, but any demo you buy for a video game actually gives you some content from the video game; not stuff that will ‘spoil’ the overall experience for you if you choose to go the whole 19 yards and buy the thing, but stuff that makes you feel engaged with it. A recommendations video should likewise be able to let you sample some of the show in support of his thinking, to show how the reviewer has engaged with it. Especially since this is one show where an increased attention to detail renders many of GR’s comments almost completely beside the point. GR complains that there’s no clear direction for Kiznaiver’s plot, but he takes this from a correct observation into a negative criticism without any explanation or treatment of why the show might be like that. 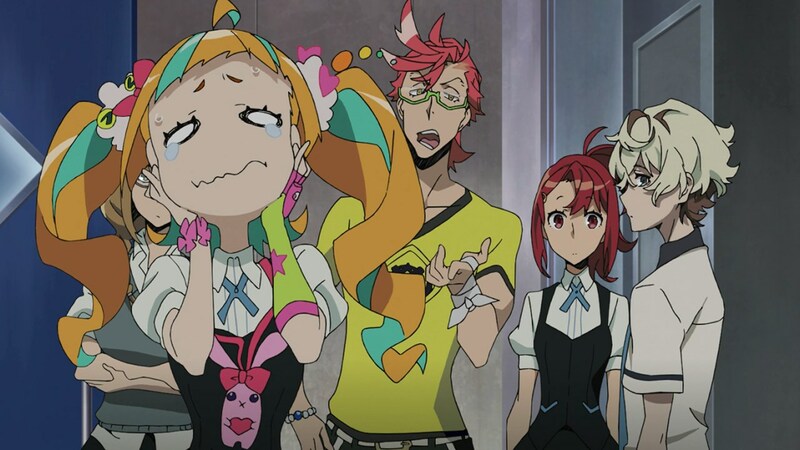 Not knowing where Kiznaiver is going is in fact essential to our connections with the cast. The experiment these guys are stuck with requires them to not know it’s next step, and I hope everyone who has watched it has realized that since what we’re doing most of the show is empathizing with these characters and thus sharing in their ‘pain’ just as they share it with each other, we need to be kept on the side of the test subjects and not know where things are going either. To call such a purposefully and necessarily obscured plot ‘poor’ as Glass Reflection does is being over-reliant on plots that are clear-cut. I’m sure we can all remember a story in the past that had us absolutely hooked despite the fact that, or because, we had no clue where anyone was going whatsoever. Not every plot is an understandable direction. Has anyone ever read anything by James Joyce? Most of the other points GR makes similarly riff off a need for things to be simply definable/categorizable. He says the MC has no likeable trait, but what I love about the MC is that he has no likeable trait; that’s his trait. His whole character is about not being open about his character – about not feeling anything. And that emptiness becomes its own kind of substance because of the other characters’ interactions with him. Why is an experienced reviewer like GR doing the amateur thing of evaluating characters as individuals, especially in a show all about taking them out of the separate comfort zones? Moreover, to discount characters because they stand out with having just ‘two’ definable traits and wanting them to have already become so complicated in a meta show that’s all about breaking down these ‘seven deadly character types’ is more or less entirely missing the point of the story. It’s like complaining that a hero in a ‘zero to hero’ show out starts weak. And you’d ask, but how does that change the fact that I can’t connect to 2D characters? Well, I have a reason to connect to every one of them; because they’re actively trying to connect to each other. And it’s fun, as GR notes. And what we connect to in storytelling is not individuals, but relationships between those individuals. So stop trying to connect to them as separate people if you are. You’ll get as far as they got with each other before the Kizna project began. Glass Reflection’s first impressions of Kiznaiver don’t give us any more than the surface of his opinions, and it’s hard to think they’d be persuasive, regardless of whether they’re valid, to anyone but people who are already fans of his iconography. And he’s built good, engaging iconography. But the opinions themselves are incredibly contrived ways of approaching such an interesting show. His review of Otonashi’s character in Angel Beats! is filled with the same flaw; characterizing him as if, under the microscope of a review, he’s completely cut off from the rest of the cast and the story. This is not how any show is watched when you sit down with it, and not how one should be reviewed either. Especially not Kiznaiver. I know why GR is popular, and power to him. But to me he often sounds like a talking comment section, and he could do far more with his fanbase than talk and perhaps even think in the kind of bolt-together, paint-by-numbers phrases that have become colloquialized into MAL-speak and push a review away from any engaging discourse. He moulds a show trying to break out of genre and generic expectations right back into such a fixed design. 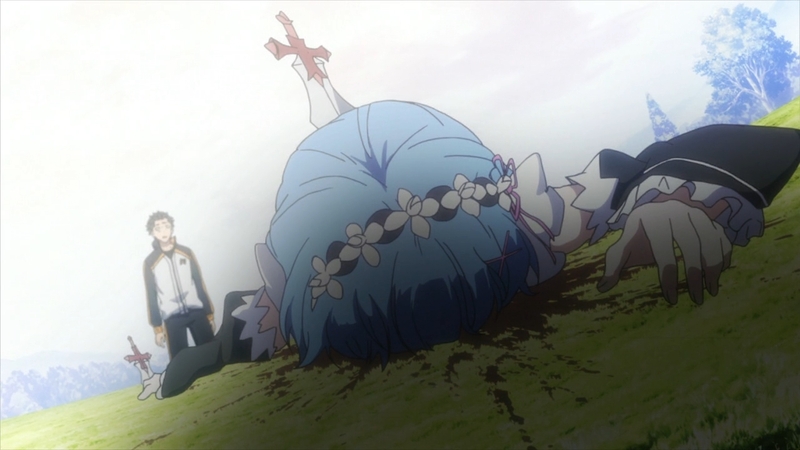 He automatically wants a character to be ‘relatable’, which is the common expectation Kiznaiver actively disrupts in its early episodes in order to make its cast more than just individually relatable, just like Kill la Kill worked against the expectation of leering at fanservice in its first three episodes. Katsuhira becomes a different kind of relatable; that distant person we all know or knew, who we connect to not because he gives us something, but because he doesn’t. He holds back. And we want to reach out to him because people around him do. And we fulfill the goal of the Kizna project in our own viewing experience. 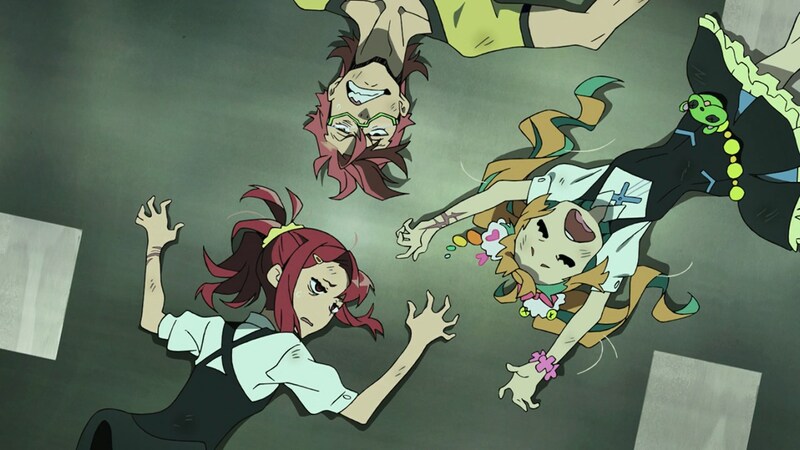 We can have far more fun with shows like Kiznaiver if we drop these iron expectations of a clear plot and ‘relatable’ characters, and listen to what the show may be telling us about the need for those very things. And then we find a greater clarity and a greater relatability in the product of our intuition. I’m not going to remember this show.